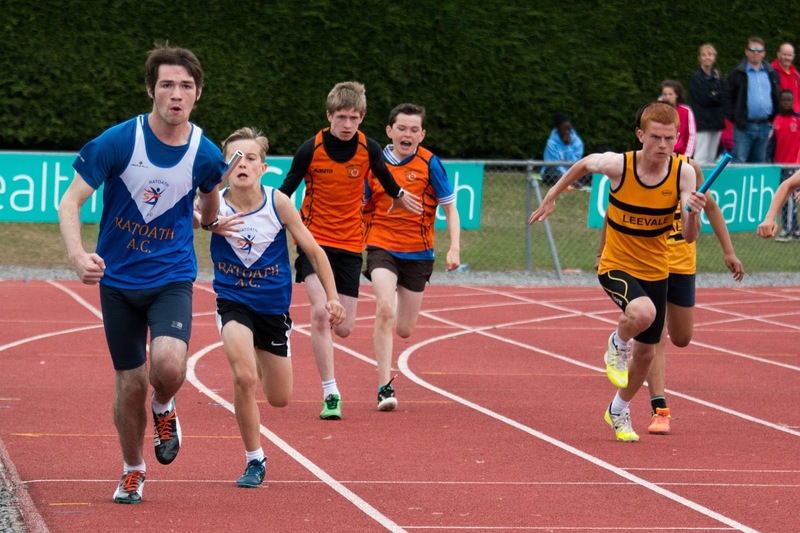 The National Sprint Relays were held in Tullamore Harriers last Saturday and we were very well represented with 5 teams competing, as usual at this level the competition was fierce resulting in a large number of new championship records set on the day in the various age groups. Our un-even age teams were up first and our u13girls and 15 boys qualified for the finals with ease, our much fancied u15 girls team of Aine Cooney, Ivie Okome, Maria Rogers, Rachel McPartland and Emma Coroner were not at full strength due to injury and did not make it out of the heats. 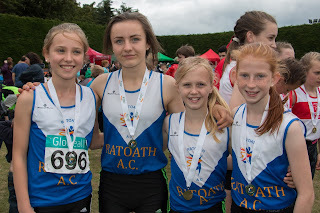 The u13 girls were in great form and put in a faultless display of baton changing in their final to take silver in a new pb of 54.71s, great credit to the girls who have now claimed their 5th National relay medal since 2013, congratulations to Lili O’ Connor, Ella Healy, Aoife Rutherford and Aimee Doherty. Lady luck was not with our u15 boys, after a great start in the final the lads had a 15m lead coming into the last changeover but unfortunately the baton was dropped and their race was over, a great performance all the same and the future looks bright for this team, well done to Matthew Buckley, Luke Holohan, Ben Toole and Daragh Casey. 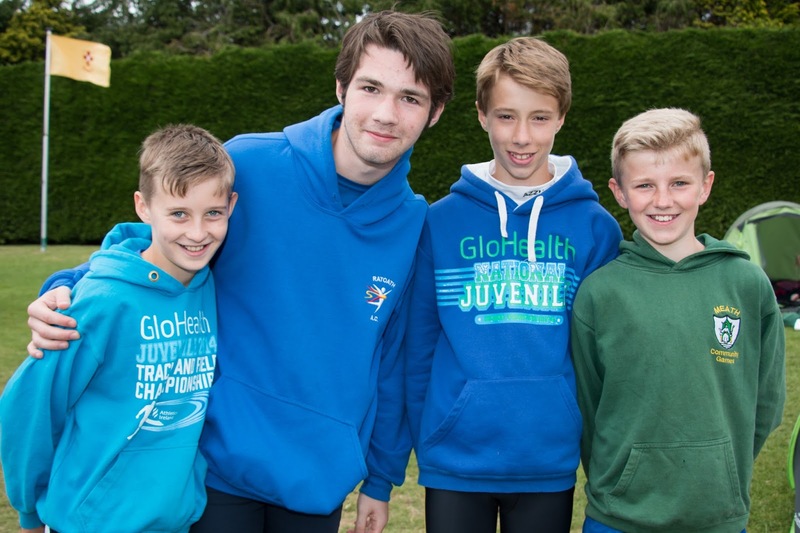 The even-age relays took place in the afternoon, our u14 girls did not make it to the line due to injury leaving it to the u14 boys to carry the flag. Our u14 boys team of Tom Kilgannon, Matthew Buckley, Oisin Kelly and Ben Toole got off to a very shaky start finishing 3rd in their heat but they put that behind them in the final running a new pb of 51.74s. The lads were desperately unlucky to finish 4th, but again this team has improved year on year and it’s only a matter of time before they will be on the podium.